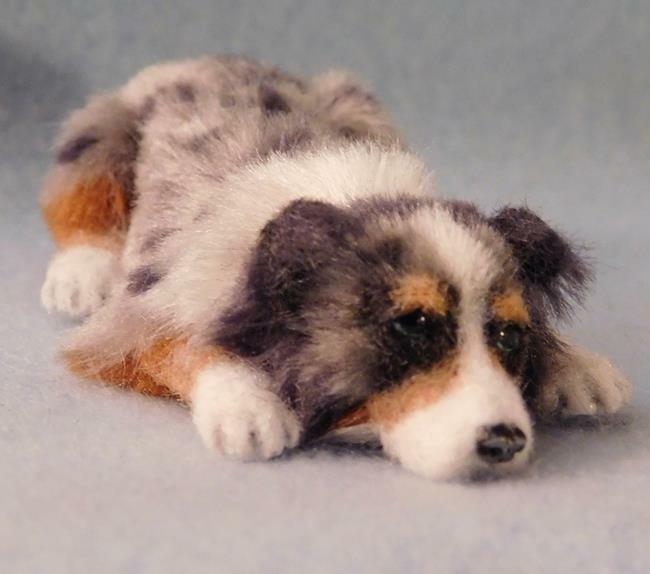 I finished this little blue merle Aussie yesterday for National Dog Day but ran out of steam before I got photographs and a listing ready so here he is a day late! 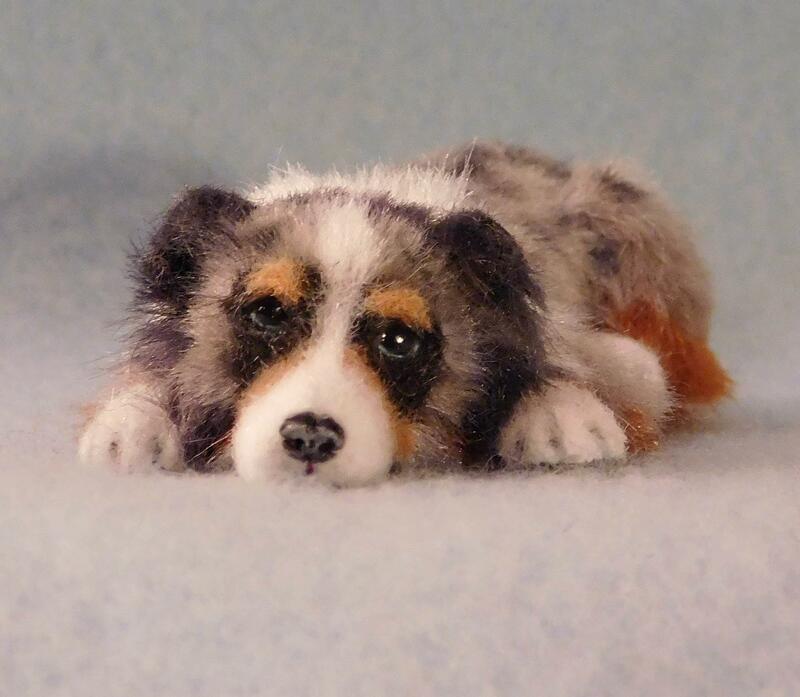 It has been a difficult week as I lost my much loved ChloeBelle, a corgi, on Thursday, now just Dozer and I to carry on. 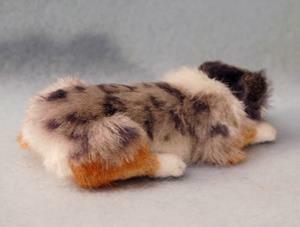 Dozer actually inspired this piece even though he's a corgi, this is his "I confess, it was me" pose. Poor Dozer has always confessed to all offenses even if he didn't do it, he's the quintessential 'guilty dog' which just makes him more lovable to me. This little dog was first carefully sculpted in polymer clay, the tiny details painted in detail with acrylic and his multiple shades of silk fiber applied. I achieved his coloring with the silk and used very little pastel on his face, to me always worth the extra work to do it this way. My printer is still on a break so I'll digitally sign and email a certificate which may be verified on the ebsq site. 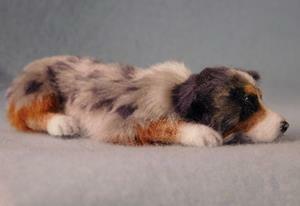 This little one would make a great addition to your dollhouse or Australian shepherd collection!